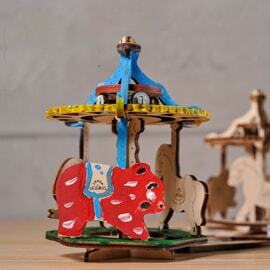 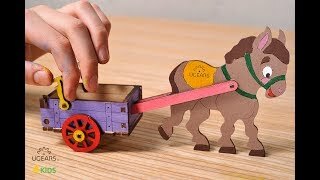 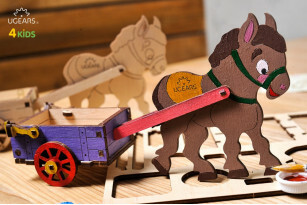 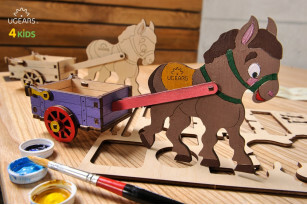 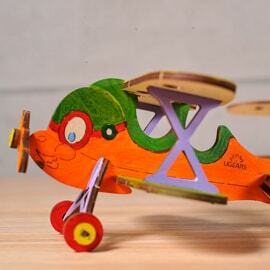 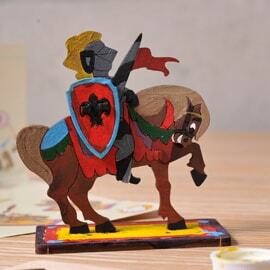 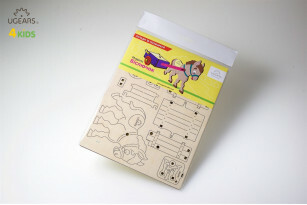 3D wooden coloring model «Donkey». 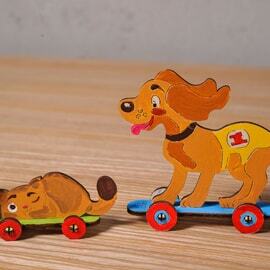 Color as you like: acrylic, gouache, watercolor, markers - you can use whatever you have. 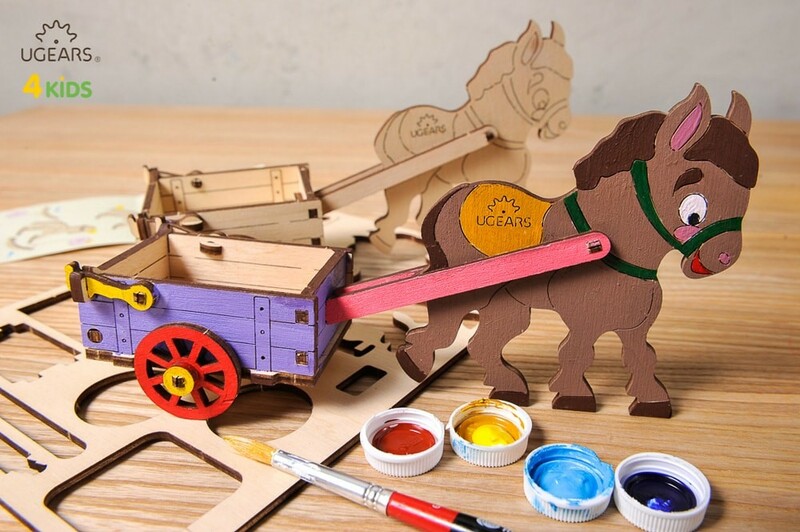 You can color the model by doing yourself, with friends or the whole family. 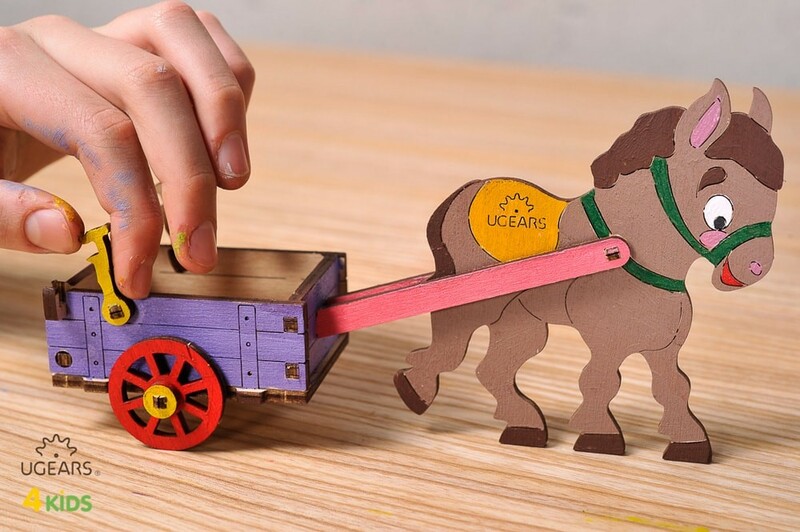 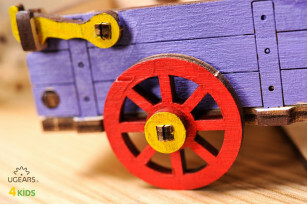 Delicate contour lines on wooden parts depict details of the donkey, its long ears, harness elements and parts of the cart, to make it easy to paint. Cognitive and developing: Since the times of Egypt, the donkey regularly serves people and helps in the housekeeping, transportation of crops, hay etc. 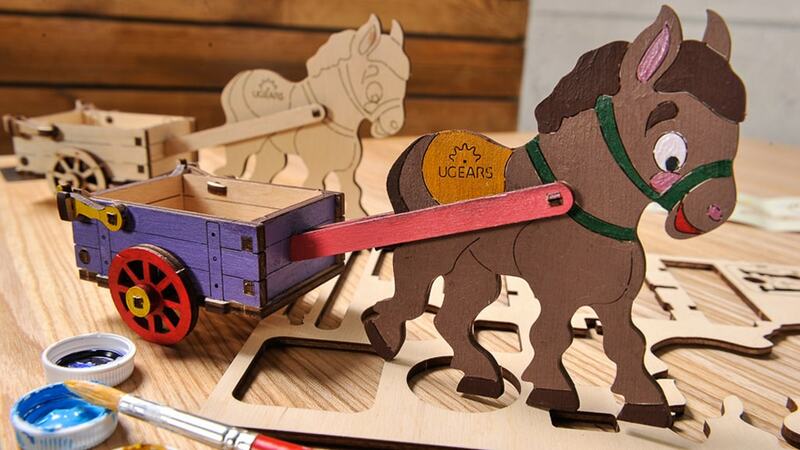 There is real wooden two-wheeled carriage with a back tail-board and basic elements of harness: two shafts, breast-bands and collars. 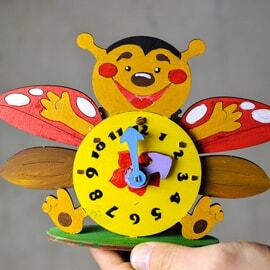 Assembles easily and is fun to play with.